Indo-Chinese food is my favorite. If you are wondering what is that -Chinese food with a little Indian twist is called Indo-Chinese. Indo Chinese cuisine is the adaptation of Chinese seasoning and cooking according to Indian tastes.Veg Manchurian, Gobi Manchurian, Hakka Noodles, Veg Fried Rice, Sesame Veg Toast, Schezwan Noodles etc comes under this list. What we eat at Indian restaurants will have a little Indian twist in everything. 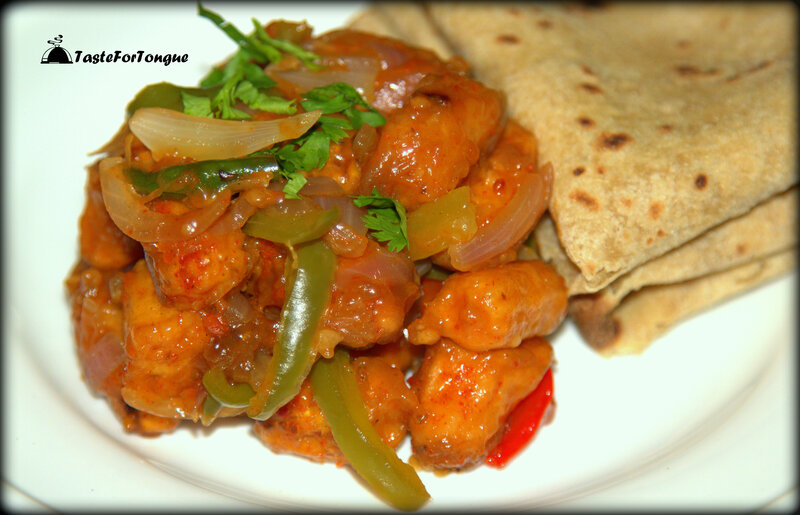 I prepared baby corn manchurian semi gray for chapathis and the recipe is very simple. Add the sauces and fry for a minute. Add fried baby corn with coriander leaves and spring onion. Add the corn flour dissolved in water and stir well, add tomato ketchup and adjust the salt. Note:If you want to eat it as starter then do not add corn flour dissolved in water. I am a soup lover. Mixed veggies, mushroom cream or noodles I like to have everything. During summer time its hard to eat heavy lunch or dinner. You might want to just have some soup and veggies. 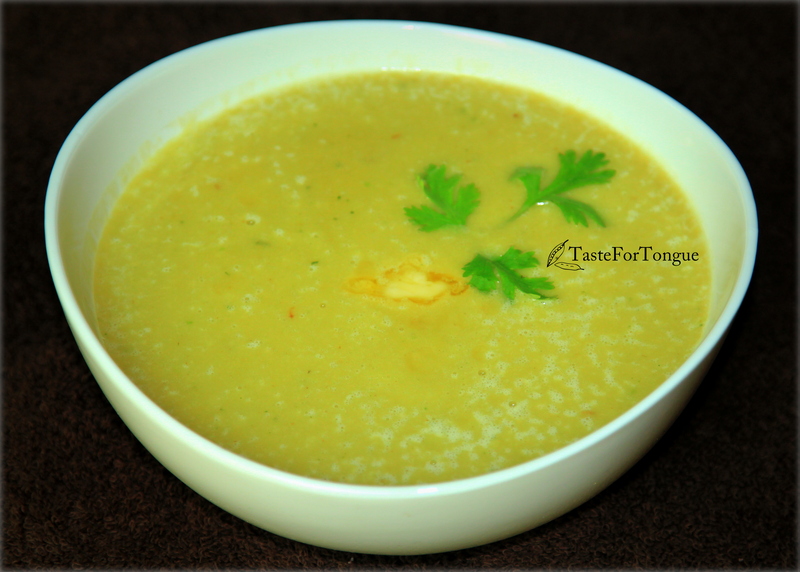 Here is a simple recipe of fresh green peas soup where you can use fresh, frozen or soaked peas. You can have it hot or refrigerated according your taste. Transfer the mixture into a blender, add salt and blend it well into a smooth paste by adding water. Note: You can also add any broth to it to enhance the flavor. Chatpata spicy chat items are my favorite. But lot of potatoes and oil together makes it unhealthy to eat everyday. Panipuri, masalapuri, dahipuri, vada pav, pav baji, pakoda, samosa chat and chana chat wow! the list is endless. 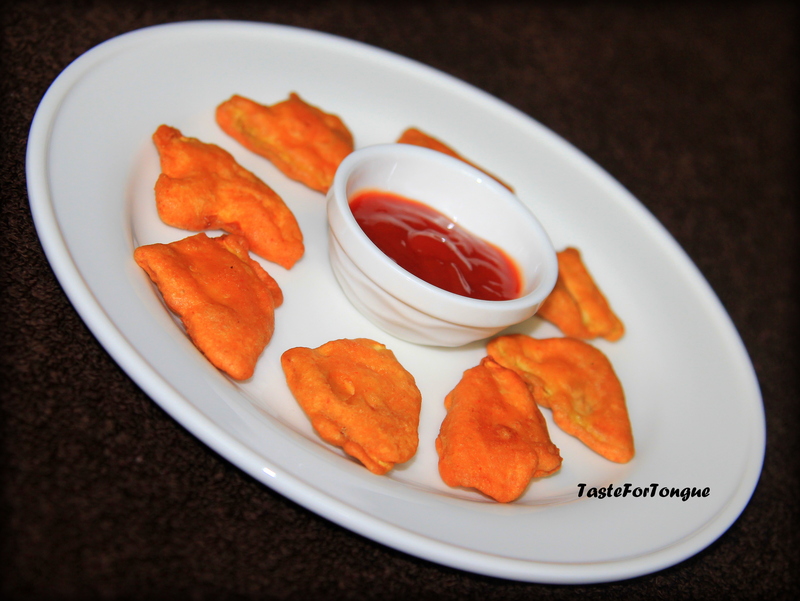 Bread pakoda is one such easy chat recipe I am sharing today. First prepare gram flour batter with adding little water to it along with a pinch of asafoetida and salt to taste. 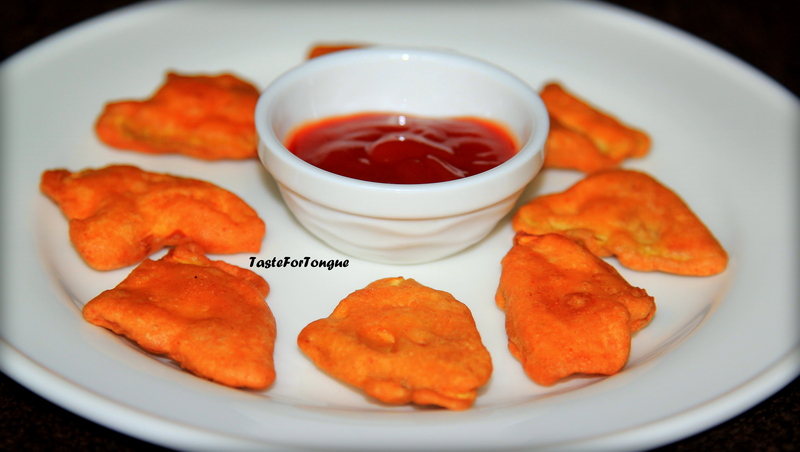 You can also add chilly powder to the batter if you want it to be more spicy. Now peel the boiled potato and mash it. Take a deep pan and add a tbs of oil and cumin seeds. Let it splutter and now add mashed potatoes, chilly powder, chat masala, garam masala. Mix it well and finally add coriander leaves and the stuffing is ready. Now take brown bread or white bread slices, cut off the sides and place the stuffing on one slice and cover it with another slice. Now cut it triangularly like how it looks in the picture. Take a deep frying pan and add oil for frying. 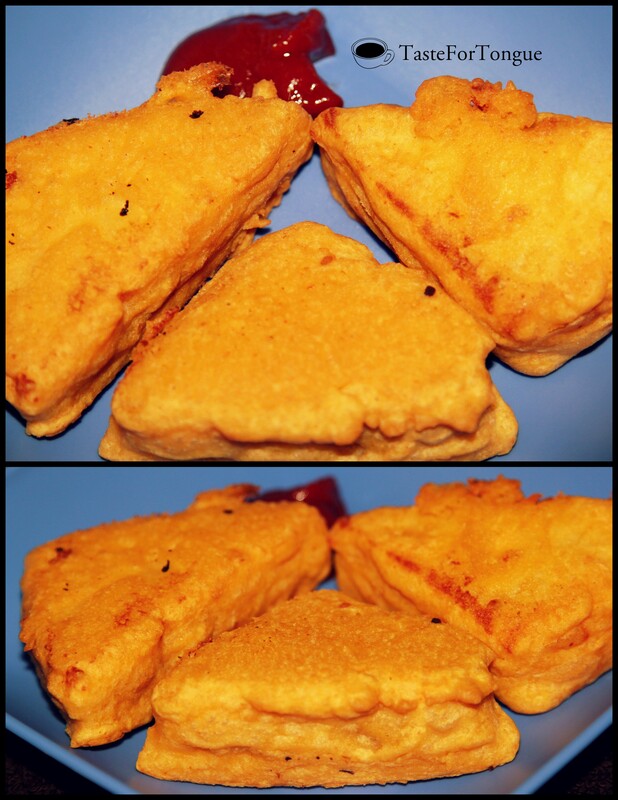 Now dip this triangle bread stuffs into batter and deep fry it until they turn into golden brown. Serve it hot with mint chutney or tomato ketchup. Weekends are always fun to try something new and exciting. This time I prepared crispy bhindi kurkuri. I twisted it little and made it my way. 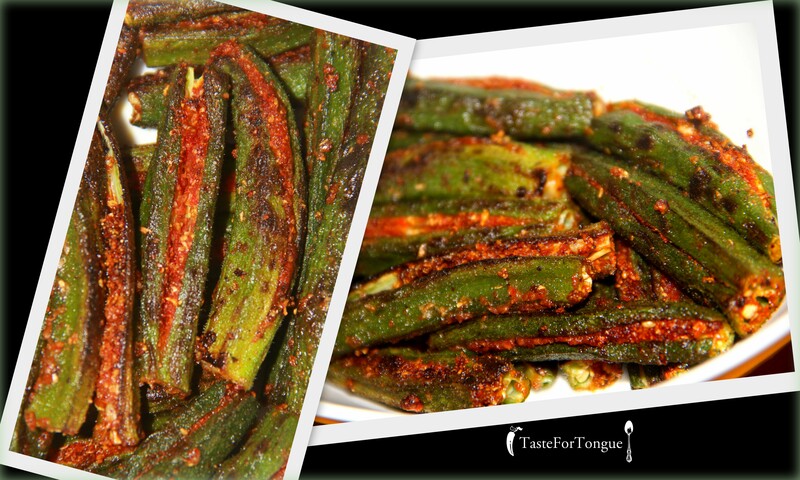 I am sure that bhindi lovers will love this recipe. Cut okra into thin round pieces (you can also cut it into vertically thin pieces) and sprinkle with all those powders (1 teaspoon each) mentioned above along with salt and mix it well. You can add more chilly powder for more spicy taste. 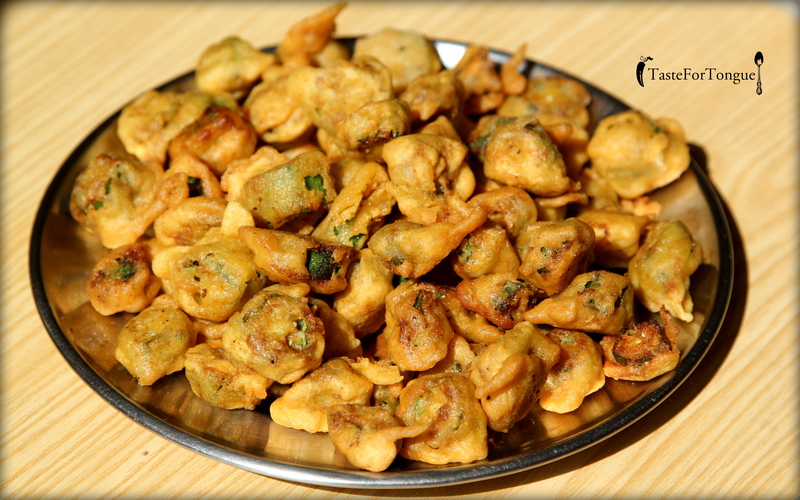 Mix gram flour, salt for taste and little water to make batter in a separate bowl. Now take a deep pan and add oil for frying. Upon heating dip these spiced okra into batter and deep fry until it turns into golden brown color. You can have it with rice/chapathi or also as starter with tomato ketchup or mint chutney. Potato is at the top of my favorite vegetables list. I love to eat them in everything. Mashed, fried or boiled I just love everything with potatoes. But eating them increases belly fat so I am kind of controlling myself. But once in a two weeks won’t harm. I made a comfy recipe to go with plain rice and curd. Pan fried potatoes are healthy compared to deep fried ones. Take a pan and add 2-3 teaspoon of olive oil and let it heat. 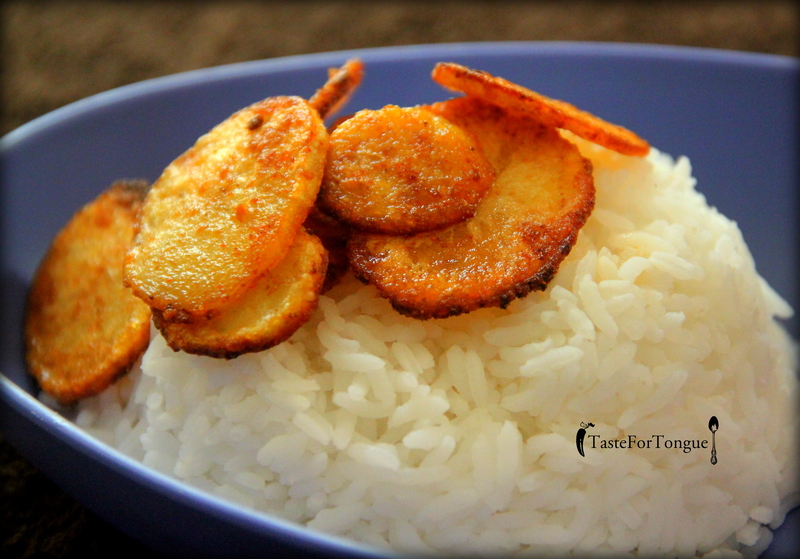 Add thinly sliced potato pieces and sprinkle salt and chilly powder according to your taste. Take it out when the potato turns into golden brown make sure that it is properly fried by turning and frying it into both sides. Now sprinkle black pepper powder on it and have it as starter or along with plain rice and curd. Its just heavenly to have fried potatoes with rice and rasam too.